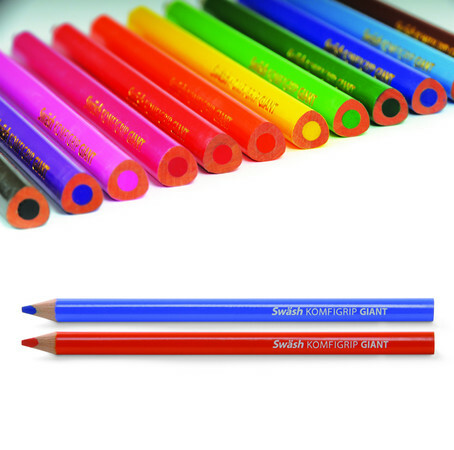 Our Product of the Week this week is our KOMFIGRIP Giant Pencils, found within our Swäsh range of products. Swäsh’s premium stationery can confidently compete with other premium stationery on the market, but with one noticeable difference – the cost. 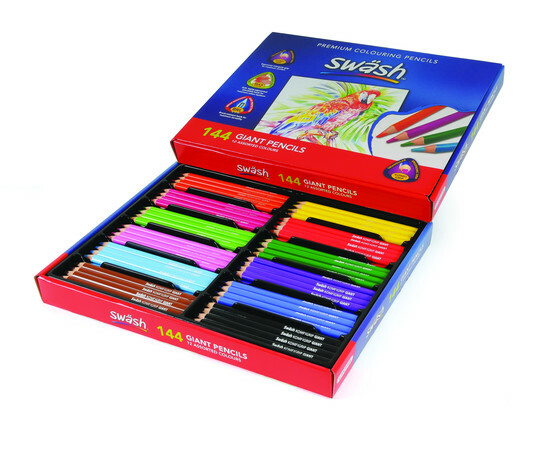 Swäsh stationery can be relied on to provide a quality and enjoyable experience without breaking any school budgets. …and are jumbo-sized, so they’re ideal for little hands that need a good grip on colouring pencils. Even the leads inside the pencil are 10mm in diameter. You won’t need to worry about pencils breaking and snapping all the time with these super-sized pencils. And they aren’t just available as colouring pencils! We think the colouring pencils are great, but sometimes you need pencils for other things. That’s why we also have giant HB pencils that are great for sketching, shading and writing at all ages. 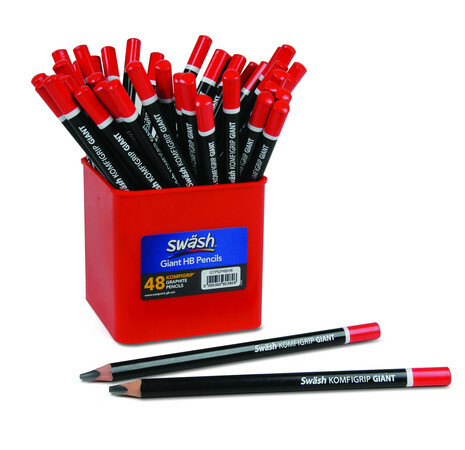 The packs of 36 and 48 HB pencils even come in a handy storage tub. You can view the whole Swäsh range, including our giant KOMFIGRIP colouring and HB pencils our website here, or in our brand new, shiny catalogue on pages 33-57. Get in touch with us at info@eastpointglobal.com or call us on 01505 525555 if you’re interested in stocking any of our Swäsh Giant KOMFIGRIP pencils, or any other of our premium stationery items.